Do you love cars but have no reliable source to keep up to date? Have you ever been in a situation where you just had to know the information and specs of one specific car? 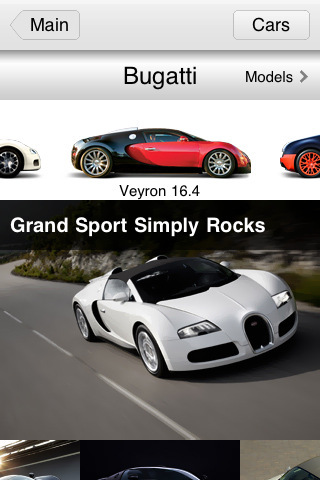 If so, then the CarBuzz app for the iPod touch and iPhone is a great steal in the app store. Not only is CarBuzz free but it is very easy to use. With CarBuzz being a devoted app, its sources are updated daily, and you will be reading information on this app before other websites. CarBuzz is a very easy to use application that is not filled with random buttons and is very noob friendly. With over fifty car makers listed, you would expect CarBuzz to be complicated and hard to organize, however, the app is self explanatory and will take seconds to learn. After just a minute of scrolling around I literally spent another thirty to forty minutes just surfing the application. I found myself learning more about cars than I did talking to peers or reading articles on Wikipedia. 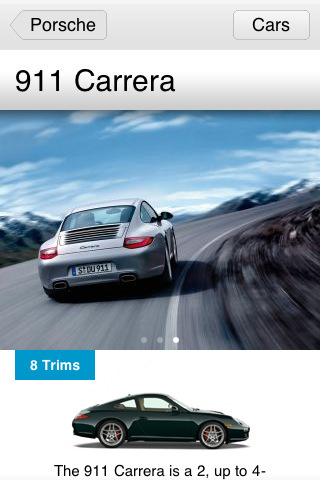 What I found most helpful about the CarBuzz app was the information it gave about car trims. It made it very easy to do research on differen trims of cars, price of that trim, and engine specs compared to other vehicles. And for some vehicles, it even listed a 0-60. All that is required for the CarBuzz app to function properly is a wifi connection or a 3g network. It also supports comments via Facebook, which allows you to comment, question, and even argue with peers. Bugs are fixed really quickly. Not one day after I downloaded the app a bug fix was released the next day. Ever since then, there hasn’t been any updates so don’t expect CarBuzz to be spamming you with constant updates. As a car enthusiast myself, I believe that CarBuzz is a very useful app and tool that every car lover should have. There really is not much more to say than that, this is a great app, and it wouldn’t hurt to try out since it’s free. Overall, I think that CarBuzz is a wonderfully informative app and hope the development team keep up the good work. AppSafari review of CarBuzz was written by Vincent Tam on February 11th, 2011 and categorized under App Store, Auto, Free, Productivity, Reference. Page viewed 5522 times, 1 so far today. Need help on using these apps? Please read the Help Page.